In traditional monetary systems, the people who "have" the money own it. 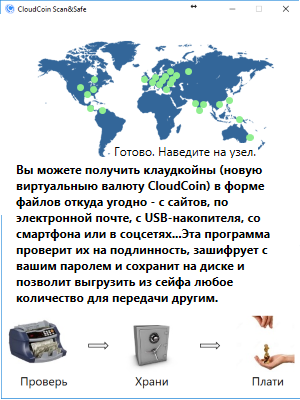 With CloudCoins, the people that "know" the money own it. In traditional monetary systems, money changes owners when it moves from one person to another. CloudCoins change owners when the person who knows about the CloudCoin changes. In order to change the CloudCoin "knowers," the old owner must give the new owner the CloudCoin. The new owner must then "pown" it (Propose Ownership). They will show the coin to the RAIDA brain, and if the RAIDA recognizes it, the CloudCoin will be allowed to teach the RAIDA about its new codes that only the new owner will know. To pown CloudCoins, you need software. We provide links to CloudCoin Consortium open source software provided by the CloudCoin Consortium and built by volunteers. No guarantees are made. Many more are in the works on all platforms. ScanSafe is easy to use and easy to install. It stores CloudCoins in a password protected encrypted file. 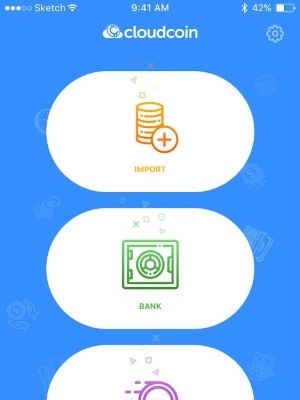 ScanSafe is the newest and most advanced software for powning CloudCoins yet available for Windows Desktop. 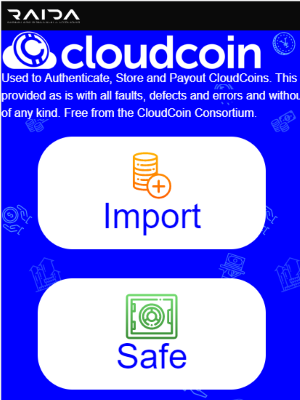 CloudCoin Foundation is a console application that is portable and can be stored on USB drives. Files are stored plaintext and should be entrypted by the user to protect from theft. CloudCoin apps for Linux are in development. CloudCoin apps for Macs are in development. CloudCoin apps for iPhones are in development.